One of the things I was proudest of in my old house was my garden - in just over a year I turned a blank plot into a colourful place filled with flowers, vegetables, trees, and loads of happy birds, butterflies and bumblebees. It was hard giving up that space (and I still occasionally wonder how my garden is doing, I hope the new owners treat it well! ), but I've tried to bring as much plant life as I can into my little flat. 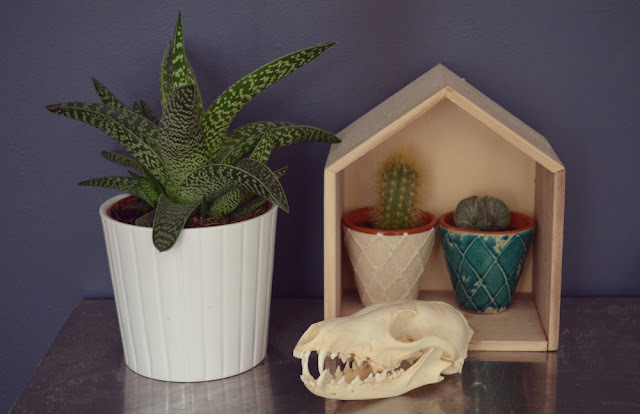 I have a bit of an obsession with cacti and succulents - probably because they are so easy to look after, and only need watering every once in a while. If you don't consider yourself green-fingered, then succulents are absolutely the way to go! All of these plants are from Ikea, who have an amazing and affordable succulent selection. I've got them dotted around my flat on a couple of windowsills and on my desk. Cacti painting - by Joshi! 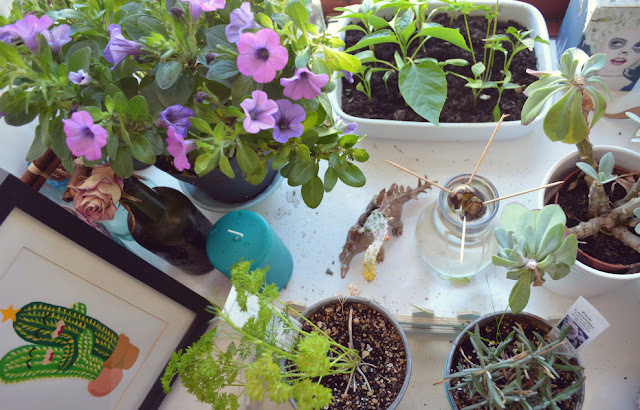 My kitchen windowsill is really broad and gets loads of light in the morning, so it's the perfect place for most of my plants, I just need to remember to water them frequently as it gets so much sunshine! I've got loads of herbs in the kitchen (parsley, basil and rosemary are doing well), a baby tomato plant, and a couple more succulents (obsessed). My bedroom also has deep windowsills (I love this flat), which means I've got a mini garden set up there too - even though watering can be a bit of a faff, plants make me so happy! 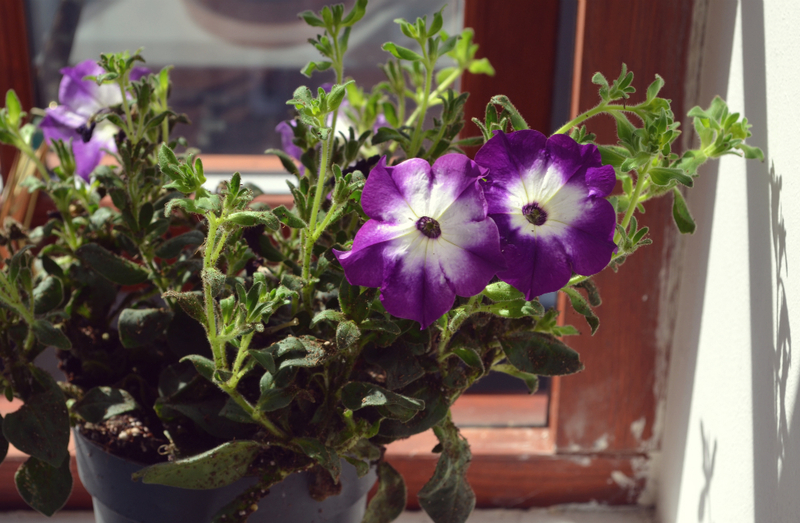 This is a flowering plant (a callie purple, I think), which was sent to me from the kind folk at Set Your World on Flowers, who are selling their flowering plants exclusively in Waitrose stores across the UK. They specialise in growing high quality plants that have loads of blooms and are guaranteed to last - so perfect, for lazy flat gardeners. I was sent a few plants a month ago, and they are all looking very happy (you can see the other one on my kitchen windowsill above) - I love that they are adding a bit of colour to all of my greenery. If you don't have much shelf space, hang things instead! I made this hanging planter using a tutorial I found on pinterest, and strung up a glass bauble that I got in a charity shop. 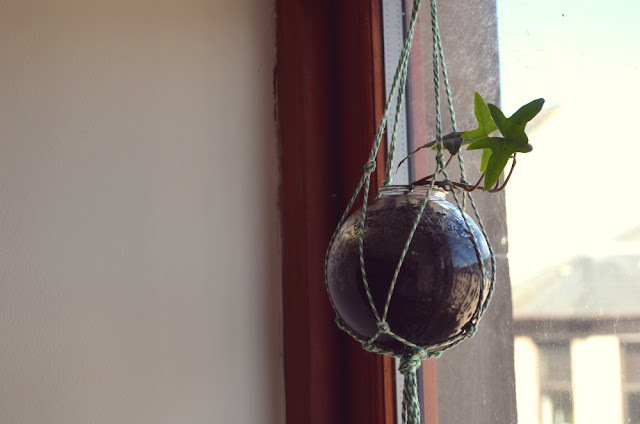 Ivy is now growing, and should look lovely, when it's a little longer, and starts trailing down the window. Aaaand finally, more cacti (I'm sorry, I can't help myself). 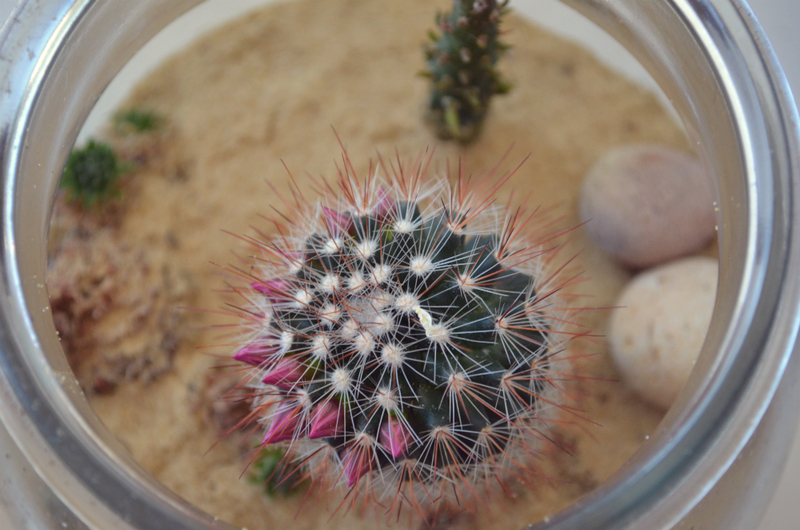 This is a little terrarium that I made a couple of years ago, and the plants inside are all going strong - look how happy the cactus is, it's about to flower! These are so easy to make, all you need is a container, some soil and some sand, and a couple of rocks to scatter about. Then you just need to sprinkle them with a little bit of water every now and again, and you can't go wrong!